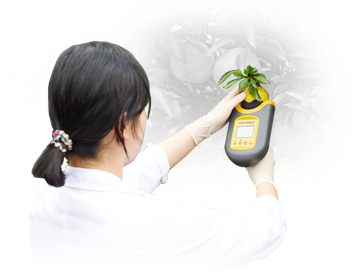 H-100 series is a range of portable devices for measuring the Brix level of fruit still hanging on the tree. The fruit does not have to be picked or cut open. 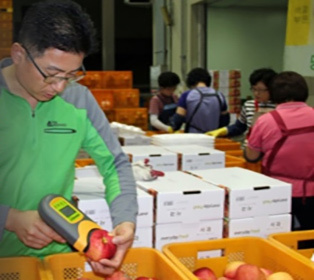 The H-100 is an NIR spectrometer which measures sweetness, dry matter, colour etc. 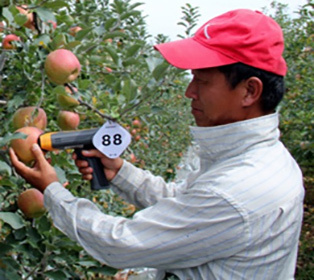 thus helping to determine the ideal harvest time, ensure uniformity in batches. It can also be used along the supply chain and at POS. The series currently comprises variation models for various fruit, apple, pears, orange, mandarin, etc. The device can be individually calibrated and is thus a useful tool in a wide variety of situations. variability in experiments for R&D lab.